5 pin male DIN - DIN cable. 48"L.
Gray 6' extension cable with 8 pin male octal each end. Reinforced keyway with wire guide on each end. Pins are connected 1 for 1 with #1 to #1, #2 to #2, etc. All wires are 20 AWG. Pins 1, 2 & 3 are unshielded. Pins 5, 6, 7 & 8 are shielded with foil and stranded #20 drain lead. All drain leads connect to pin 4. 2.5mm plug on the end of a 5-1/2 foot, 2 conductor stranded wire. Molded plug and strain relief. 8 pin DIN male to 8 pin DIN male cable. 48" long. For audio in and out to many ICOM, Kenwood, and Yaesu radios. Wiring is straight through, (pin 1 to pin 1, pin 2 to pin 2, etc.). May require modification for your radio. Switchcraft 36" shielded audio RCA cable. One molded RCA right angle connector, the highest quality Switchcraft of yester-year with tin plated copper contacts, NOT aluminum; One stripped / tinned end. Perfect for Collins and other vintage Ham gear. Switchcraft 36" shielded audio RCA cable. 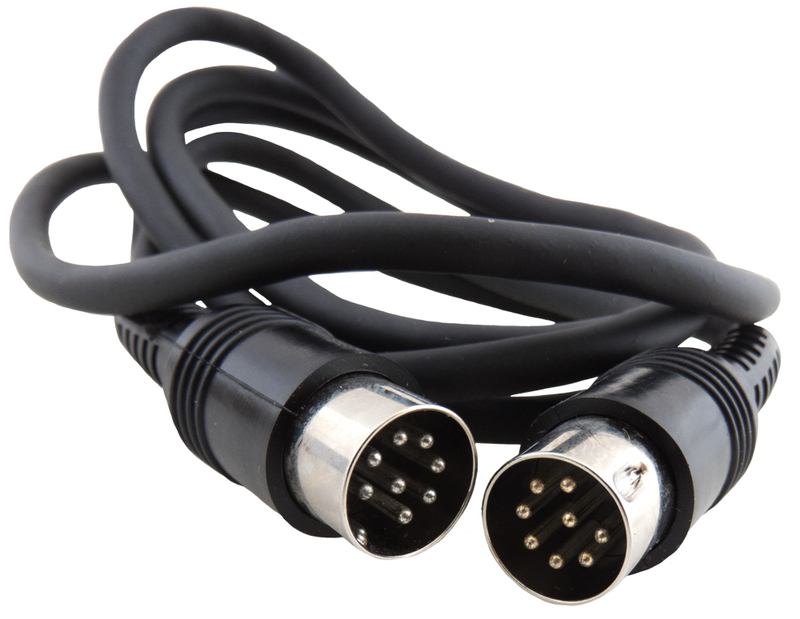 Has molded RCA right angle connectors on both ends. Male - male. Straight, molded RCA male plugs (each end) on shielded audio cable. 10 foot long. Audio patch cable. Mini-stereo to mini-stereo. Shielded. 5 foot overall length. 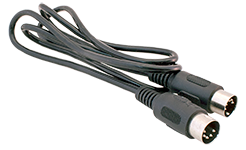 54 inch cable contains two shielded wires with red and white molded RCA plugs and a ground conductor with alligator clip on one end. 3 foot coax cable with molded RCA female jacks. Gray. 7' long cable with beautiful woven jacket and dual 3/16", 4 circuit plugs. 36" dual shielded audio cable. RCA males on both ends. 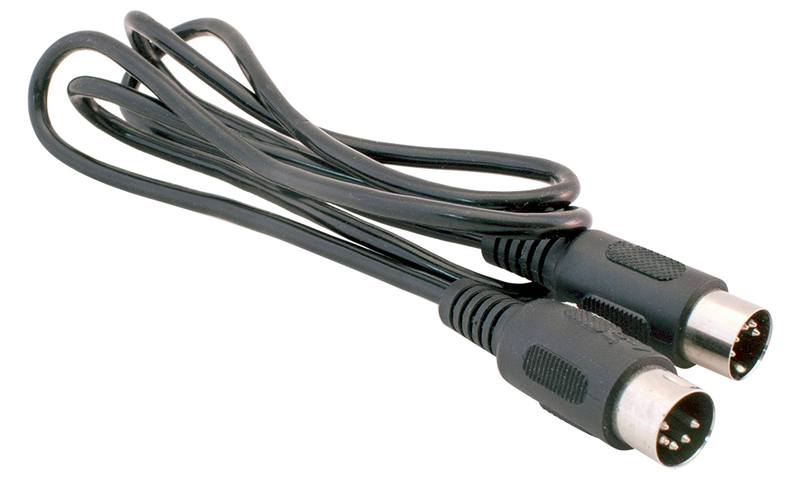 28" coax cable with molded RCA plug. 68" coax cable with molded RCA plug. 7" coax cable with molded RCA jack. Switchcraft ADC dual bantam jack. 0.314" CC, 0.175" O.D. Fits dual bantam "jumper" (CNA) PJ768 on right. Audio cable assembly. Polarized 2 pin connectors. 3/8" c-c. 9" long. A popular speaker plug. NSN: 5995-01-135-7726. 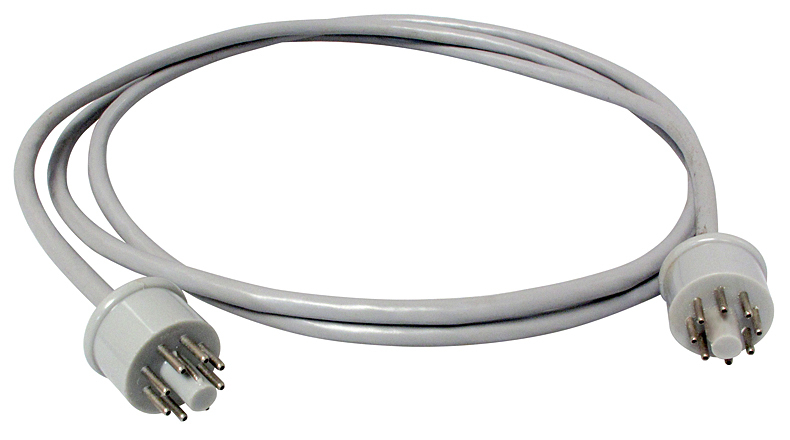 5 pin male plug, 90º. 180º pattern. Three 10" long shielded cables.